Some veteran artists eschew the spotlight past their career’s prime, while others embrace it, continuing to share, preserve, and flex their artistry. For Charlie Wilson, he is the latter, remaining active in his early sixties after a brilliant musical career as the front man of The Gap Band. The 00s have been extremely kind to Wilson, as he has issued six solo albums, with his last five notably sporting his first name in their title. 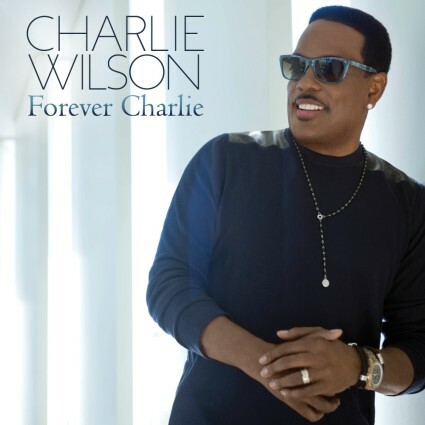 Two years after Love, Charlie, Wilson returns with another sound effort, his fifth ‘Charlie’ album, Forever Charlie. Forever Charlie features production work courtesy of Jimmy Jam, Terry Lewis, Gregg Pagani, Emile Ghantous, Steve Daly and Keith Hetrick. Although limited in guest appearances, Wilson features two collaborations, courtesy of Shaggy and his ‘nephew’ Snoop Dogg. Like any contemporary Charlie Wilson album, Forever Charlie doesn’t reinvent the R&B wheel, but does easily deliver an enjoyable, well-rounded effort. Forever Charlie from the onset has more of a soulful edge than his previous album Love, Charlie. “Somebody Loves You” opens with a retro-inspired script that bodes sensationally well for Wilson. It’s successful because Wilson hails from the golden days of soul, and while “Somebody Loves You” isn’t late 70s/80s R&B fare note for note, it owes greatly to the music of that time. Wilson one-ups himself with the fantastic “Touched By An Angel,” the promo single for Forever Charlie. “Touched By An Angel” is arguably Wilson’s best single since “You Are,” the soulful hit from Just Charlie (2010). “Angel” is so angelic because Wilson balances the old with the new, and his voice remains as polished and fresh as ever. Wilson doesn’t stop with just “Somebody Loves You” or “Touched By An Angel.” He hits the jackpot once more on past the midway point of Forever Charlie with “My Favorite Part Of You.” Why is “My Favorite Part of You” so good? It is because it’s another joint playing to Wilson’s strengths. It’s old-fashioned, but has enough contemporary oomph to appeal to various audiences. While the aforementioned tracks are the crème de la crème, there are plenty of other decadent treats from Forever Charlie. “Sugar.Honey.Ice.Tea” isn’t a new euphemism for a four-letter word, but in Wilson’s hands, it’s energetic and fun to listen to by all means. “Infectious” featuring Snoop Dogg is another bright spot, where the funk is popping and the legendary West Coast MC only accentuates the vibe. Wilson even takes something of a surprising risk on “Unforgettable” featuring Shaggy, where he dives into reggae featuring a Bob Marley sample (“Waiting in Vain”). All in all, Forever Charlie is a pleasant album from top to bottom. While every song isn’t life changing per se, Wilson always comes over as authentic and genuinely invested in every song/performance on the album. Forever Charlie benefits from feeling more ‘next level’ compared to previous effort, Love, Charlie, even if a progressive, modern R&B script isn’t the M.O. Ultimately, Forever Charlie seeks to retain Wilson’s relevancy and premier status as one of the elite in R&B and soul music. He accomplishes the task with flying colors.